We hope you're hungry, Highland. Pluckers Wing Bar opens at The Linc shopping center Tuesday, May 30. This is the sixth outpost in Austin — and the first to open locally in almost a decade. It will serve as a prototype for the successful chain, which has 15 other locations across Texas and Louisiana. "We have changed so much about the look and feel of our stores. We can't wait to share our new store prototype with our loyal Pluckers fans; we know they're going to love it," says co-owner Dave Paul in a release. The protoype restaurant includes outdoor seating, private dining room, giant circular bar, and impressive video wall for watching games. 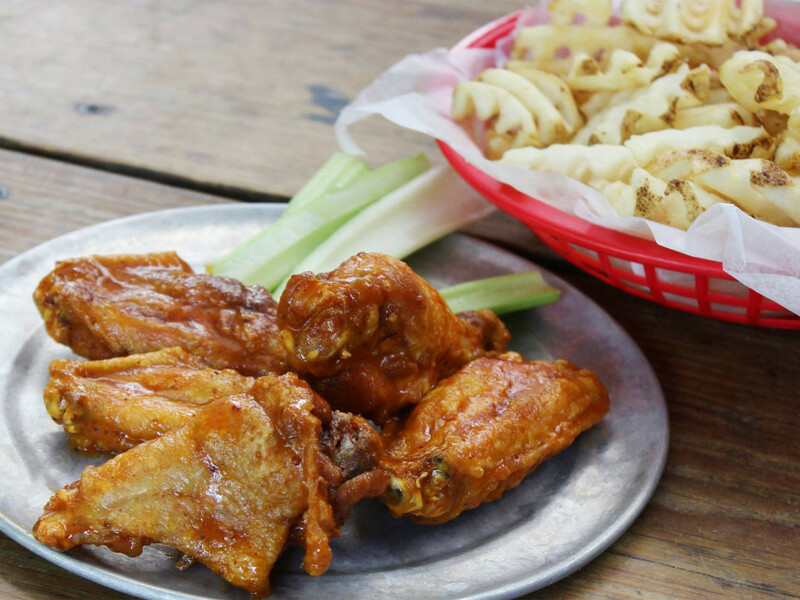 The menu will offer Pluckers' famous chicken wings, burgers, and fried bites. The Linc, located at 6406 North I-35, is filling up quickly with fresh additions, including the new AFS Cinema. Pluckers is located at Suite 2949. Hours are Sunday through Wednesday, 11 am to midnight; Thursday, 11 am to 1 am; and Friday and Saturday, 11 am to 2 am. To celebrate the new location, Pluckers will host a pre-opening party on Friday, May 26. The first 350 people in line will get to check out the space, score a free meal, and compete for the chance to win free wings for a year.